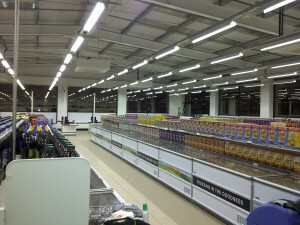 We were awarded the contract clean for the building cleaning of the newly built Farm Foods in Swindon. 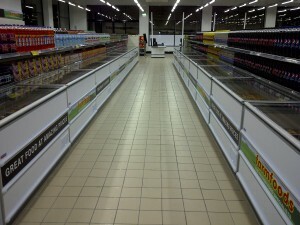 Again there were tight time schedules, however we completed the cleaning work on time and within budget – 7 hours before the shop opened for business!! The customer was very happy with our performance, as the adverse weather during this time (Jan Snow) delayed building works, but we still pulled through!